Medisave is a Singapore medical savings scheme to help citizens and PRs meet their future personal or immediate family's hospitalisation, day surgery and certain outpatient expenses. At Neo Smiles, Medisave can be used for wisdom tooth surgery, & dental implants. In particular, wisdom tooth surgery can be fully cashless (meaning it can be fully paid for using Medisave; no upfront cash is needed) as we will submit the claims on your behalf. Braces, as it is an elective treatment, is currently not supported under Medisave treatments. Medisave forms can be found here. Baby Bonus Scheme / Child Development Accounts helps to reduce the financial burden of raising kids. You can use the savings in the CDA to pay for educational and healthcare expenses of your children. At Neo Smiles, you can use your child's CDA to pay for all your children's dental costs, including braces packages. Simply bring your CDA card (similar to a NETS card) when making payment. 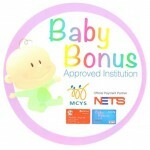 Learn more about Baby Bonus here. 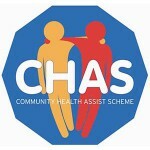 The Community Health Assist Scheme (CHAS) allows Singapore Citizens from lower- to middle-income households, and all Pioneers, to receive subsidies for dental care as CHAS-accredited dental clinics. As Neo Smiles Dental Studio is a CHAS-accredited dental clinic, you will be able to enjoy CHAS subsidies for your dental treatments with us. There are two CHAS categories: Orange and Blue. Please click here to check your eligibility for CHAS. If you do not currently have a CHAS Health Assist card, you can request for an application form at our front desk. Certain dental treatments are not eligible for subsidies under CHAS Orange. To receive your CHAS dental subsidies, please present your valid Health Assist card & NRIC upon registration.